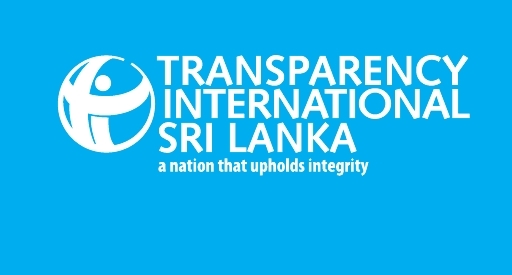 Transparency International Sri Lanka (TISL) applauds the Commission to Investigate Allegations of Bribery and Corruption (CIABOC) for the swift action taken to apprehend the President’s Chief of Staff I.H.K. Mahanama and the former Chairman of the State Timber Corporation P. Dissanayaka, on charges of soliciting a bribe and accepting a sum of Rs. 20 million as an advance payment. TISL also believes this sets an excellent example of collaboration between the private sector and CIABOC to counter public sector corruption. Whilst welcoming His Excellency President Maithripala Sirisena’s approval to immediately interdict the officials concerned and instructions to authorities to enforce the law without obstruction, TISL wishes to highlight the importance of transitioning to a system of accountability that functions independently of political power, without requiring ‘political clearance’ to proceed. TISL Executive Director Asoka Obeyesekere stated that ‘the need for political approval before proceeding highlights the potential for political interference. When political approval is no longer sought, that is when anti-corruption will move from having ad hoc success to gaining true public trust in upholding the rule of law’. TISL also calls on CIABOC to actively pursue investigations into other stalled investment projects which may uncover further instances of grand corruption. Furthermore, this case highlights the need to attract candidates with the right expertise for state sector positions. Continuing to offer ‘patronage jobs’ to politicians will only serve to exacerbate the problem. 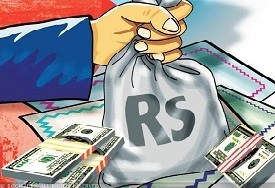 TISL wishes to underscore that as per the offences detailed under Section 17 and Section 22 of the Bribery Act, the prescribed punishment is a period of rigorous imprisonment of not more than 7 years and a fine not exceeding five thousand rupees. Whilst in this instance it appears that pre-emptive action was taken by CIABOC officers with the co-operation of the person from whom the bribe was solicited, it must be highlighted that in many instances the party from whom the bribe is solicited may not cooperate with authorities in favour of expediency and advancing their business interests. In such cases it is necessary that CIABOC takes proactive action to uncover and prosecute both the bribe givers and takers. Grand Corruption is a global scourge and is technically defined by Transparency International as including an instance where a public official causes the state or any of its people a loss greater than 100 times the annual minimum subsistence income of its people (household income) as a result of bribery, embezzlement or other corruption offence.